Here is the generator all-star team. 84% of people choose to buy one of these. If you want to quickly know what to get this is your best bet. Best portable generator for camping, tailgating, boating, hunting and other recreational activities that require a light, portable and quiet generator. Best portable generator for general use around the home where noise isn’t a deal breaker but price is. These gensets offer the best value for the money. Best portable generator for around the job-site because they are built tough – with more durable components and extra job-site features like large fuel tank, lifting lugs and dust protected outlets. Generac – When it comes to standby, commercial and industrial generators: Generac is king. They also introduced the very first residential genset for home use in the 1950s. 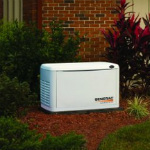 Portable generator reviews for Generac include their best inverter and conventional genset options. Yamaha – A company currently known best for their motorcycles. They make the most popular inverter generators (the quiet ones). Champion – A California based specialist generator manufacturer, Champion Power Equipment has sold over 2.5 million since 2003. 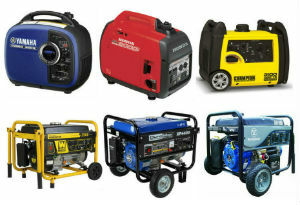 They offer a wide range of inverter, standby and conventional portable generators for a very affordable price. DuroMax – Extremely popular Chinese manufactured portable generator factory outlet company. Most fret when they hear “Chinese manufactured” but don’t – you’re iPhone was made in China. Same with your GoPro. Honda – The world’s largest manufacturer of power equipment by sales volume. Honda might well be the most trusted engine maker in the world. Briggs & Stratton – Manufacturer of the most small engines worldwide, at around 10 million per year. Honda sells more power equipment but Briggs edges them out on small engines because they sell tons to third party lawn and garden companies for use in their mowers, snow blowers etc. Honeywell – When the company that invented the predecessor to the modern thermostat merged with a company that specialized in hot water heating Honeywell was formed – this was 1927. Now they have $40B in revenue and offer products and services from thermostats to turbochargers (and portable generators). Pros: More affordable than standby or RV gensets. Suitable for many tasks because can be taken to where power is required. Cons: Needs to be refuelled often. Power is limited due to volume constraints. Pros: Unaffected by natural disaster. Provides much more electricity. Connected to your home’s electric distribution board (DB) and will switch on automatically when city power cuts. Cons: Much more expensive. Only serves one purpose. Needs professional installation. An electric generator is an energy conversion machine. It turns chemical energy from the fuel to mechanical energy with the engine and finally to electrical energy with the alternator. You put some sort of fuel in the genset fuel tank. The generator’s internal combustion engine turns that potential chemical energy into thermal energy by lighting it on fire, which then expands doing work on the piston. Thus converting the thermal energy into mechanical energy. 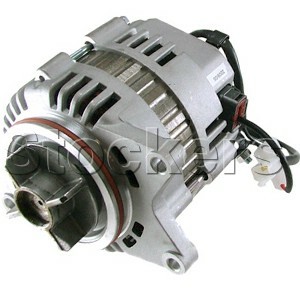 The mechanical energy (movement) is then turned into electric energy by spinning a rotor within the genset’s alternator. This action induces voltage difference which the generator uses to give you electricity. kW – 1 kW is 1000 Watts. 746 Watts is 1 horsepower. So a typical 120 hp Honda car engine produces 89.5 kW of power. For comparison sake, your Playstation 3 is around 200 Watts. Typical portable generators offer between 1 kW and 10 kW. The range is price is $200 to $2,000 for these ranging wattage capacities. Surge Power – To initially overcome friction (inertia: an object wants to stay doing what it is already doing) a generator will use more power when it starts up. As such all generators will a surge capacity and running capacity. Surge power will always be a little higher than running power. For example a generator might be advertised as 4,000W but that is the surge capacity – the running capacity is actually 3,600W. Keep this in mind when searching for your genset. Running Power – Once the mechanical components are already moving they are easier to keep moving. The running power is less power for this reason. Portable generator reviews are split into 2 types – inverter and conventional. The gist is that inverter generators are the newer technology because they take advantage of microprocessor controlled electronics. They’re quieter, more compact, more fuel efficient and lighter but also more expensive. How much more? 2-3x more dollars for comparable wattage to a conventional type portable generator. The reason for all these advantages? A conventional generator uses bulky and heavy copper winding as a field coil to produce the magnetic field required to create electricity (here’s a pic of the conventional alternator). This electricity generation requires the rotor to spin at either 1800 or 3600 rpm before peak voltage is reached, and needs to keep the rpm during the entire operation. This equals larger engine and less fuel efficiency. This is versus an inverter type that uses permanent magnets which have a constant magnetic field (here’s a pic of the permanent magnet alternator). So these can have a throttle that adjusts rpms based on power draw. All this adds to a smaller motor and alternator (quieter, more fuel efficient, smaller etc). Gasoline – The good is that gas stations are common, everyone owns a Jerry can and gas generators are in demand and so they are affordable. The bad is that gasoline is highly flammable and can’t be stored for long periods or in large quantities. It’s also likely that when you need gas most (blackout) your local gas station will be closed. Natural Gas – The good is that natural gas is clean burning and most homes have a supply coming in underground. The bad is it’s even more flammable than gasoline and because of less demand the generators are more expensive. Diesel – The good is that diesel fuel is more efficient (more energy per volume) than other fuels and a diesel engine requires less maintenance and has a longer lifespan than others because it operates at lower RPMs. Diesel will also be easier to come by in a natural disaster since most military and heavy-duty vehicles use diesel. The bad is that diesel engines uses compression for combustion instead of a spark plug so they are louder. You also can’t store diesel fuel very long. Propane – The good is that it can be stored indefinitely and it is a clean burning fuel. The bad is that it is highly flammable, comes in a somewhat awkward tank and the generators themselves are more expensive because they require a few modifications to the fuel injection system. Portable generators on the market today range from 1 kW to 16 kW and the price from $200 to $3,000. To choose what size you need you’ll need to know what you want to power. Here’s a table of common electric gear and the watts each requires. All you need to do is do the math. The small portable generators have 2 electric outlets and the professional ones have up to 6. Some also have a DC outlet for charging. How many and which type do you need? The number of running hours of electricity you get before having to refill the tank will be determined by the fuel tank size. Most generators specify running time in hours @50% load and it’s usually around 6-8 hours. Professional generators are specifically designed with bigger fuel tanks because contractors need their generators to last at least 8 hours at more than 50% load. Inverters are quieter than conventional. How quiet? Well an inverter generator is about as loud as your vacuum. A conventional is about as loud as your gas lawn mower. Why Even Buy A Genset? If you live in an area prone to power outage then a generator is the obvious solution. A genset will keep your food fresh by powering your fridge when the power is out. You’ll stay warm (or cool). Your basement will stay dry (sump pump will stay operational) if it’s a hurricane that caused the outage. Whether you’re going camping, hunting, fishing or tailgating to a remote place or just a place with no electricity with a genset you have portable power. You can use that power to make whatever you’re doing just a little better. Need to power a heater? A small fridge? A radio? Lights? All too easy if you have a generator with you. Are you a contractor that goes job-site to job-site and needs electricity? Or you just can’t stand always relying on running electric cords all over the place? Get a genset and you can keep it close-by wherever you are. These are articles that will inform you of fun information and statistics with regards to electricity and the portable power products industry. Top ten lists that are put together simply for fun. A typical top 10 list is Top 10 US States Searching For Portable Generators on Google or Top 10 Portable Generator Uses. Infographics and charts related to portable power and electricity generation. Thanks for reading the portable generator reviews and be sure to check back soon for fun content about portable power. GENSETREVIEWS.COM IS A PARTICIPANT IN THE AMAZON SERVICES LLC ASSOCIATES PROGRAM, AN AFFILIATE ADVERTISING PROGRAM DESIGNED TO PROVIDE A MEANS FOR SITES TO EARN ADVERTISING FEES BY ADVERTISING AND LINKING TO AMAZON.COM.